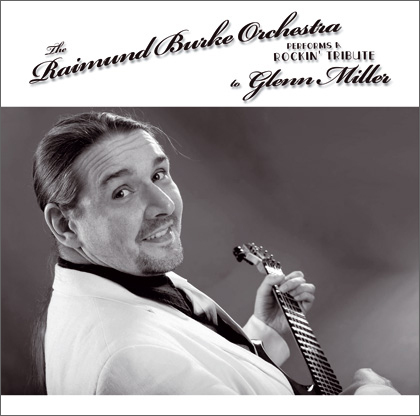 15 Songs played by the "Raimund Burke Orchestra". 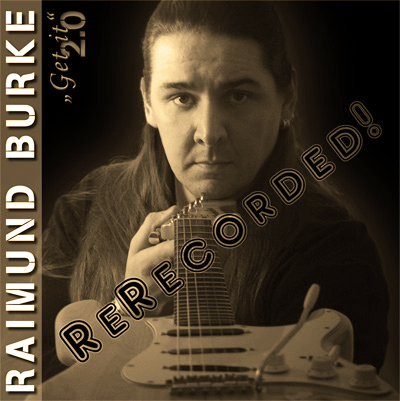 Recorded in two years by Raimund Burke. With up to 14 guitars on each track. All songs were played as original as possible! All brasses are replaced by single note rock guitars. Played with 12, sometimes up to 14 different guitars, modern rock drums, electric bass and piano. After a short while you start to think they sound like brasses! And if you are a fan of the original recordings, you might identify the very recording by the exact replaced solos for example. 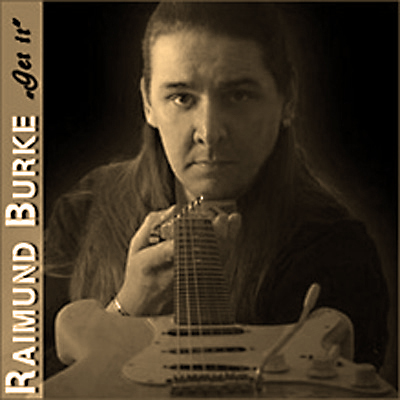 Banktransfer: Simply place your order by e-mail (info [ at ] raimundburkeorchestra.com) . And please do not forget to include the following info:: Name, address, CD title and quantity. Method of payment, COD or bank transfer. I will let you know the bank details by email. The CD will be shipped immediately after receiving the bank transfer. Payments: Payments can be made by credit card (PayPal) or bank transfer. For customers outside of Germany, we suggest to pay by credit card (PayPal). In general, paying by credit card is the most cost effective and fastest way to get your order. All prices include V.A.T. (19 %). You agree: that all necessary data will be recorded in my computer system, and will not be disclosed to third parties. Claims and exchanges: To satisfy our customers completely, claims and exchanges of any other kind will be accepted within 4 weeks of invoice date. Please put the invoice, or even better a copy of the invoice, into the shipment. We cannot accept returns of certain items, including any CD, DVD or vinyl record that has been opened (taken out of its plastic wrap). We will accept returns only if all postal charges are paid by sender. Audio-visual products will not be replaced unless there is a defect in the production. So please give a short statement for returning the goods. Discrepancies between the colour of the pictures on the webshop and the colour of the delivered products are results of a technical process and do not present any defect. Usually we deliver your order within 7 days (within Germany). We will do our best to deliver all items of your order to you at once so you do not have to wait for an article to arrive. In addition to that the mail delivery service needs time to get the package to you, please keep in mind that we do not have any influence on that. We are always trying hard to deliver in the shortest time possible but around Christmas deliveries might take a little longer than usual. Make sure that you accept only undamaged parcels from the postal service; in case of doubt, open it in the presence of a postman. Never accept damaged parcel's ! !, because of showing the will to take damaged goods with this behaviour. If there are some problems or discrepancies, please write down the name of the postman. Prices: Special offers are only valid as long as they are in stock. We reserve the right to change the prices if necessary. Alterations and mistakes subjected. Miscellaneous: These order conditions are valid for all orders. By sending your order, you accept these conditions. We are not able for the suitability of our products for a particular purpose. You have to inspect the products immediately after delivery. All delivered articles remain the property of Helloween Merchandise GbR until they are paid completely. If one of the above mentioned stipulations become invalid all other stipulations will still be valid. All conditions and moreover all contracts of sale are subjected to German law. All deliveries are subject to these terms of delivery. All data necessary for delivery and processing are stored by our EDP department and we assure that they will not be handed over to any third party. We assure our goods to be free of manufacturing or material defects or errors. We are not responsible for any misuse of our articles for purposes intended by the customer. The customer is obliged to check the goods for defects immediately after delivery. Special offers are only valid while supplies last. All prices are in Euro and are subject to change. The sum total in your shopping cart as well as prices displayed on our help site are shown in Euro. This also applies for our terms of delivery. Changes in prices, errors and omissions expected. The delivered goods remain our property until fully paid for. The information on this website is protected by copyright. Reprints, even extracts must be authorized by the publisher. In case one of the above mentioned regulations loses its validity the validity of the other regulations is not affected. Instead of the invalid regulation a valid regulation which resembles the economic purpose and the intention of the invalid regulation has to come into effect. These regulations - as well as any contract for sale based on these regulations - are subject to German law. Limited Edition! Burned CD (LP optic) with Slim Case! 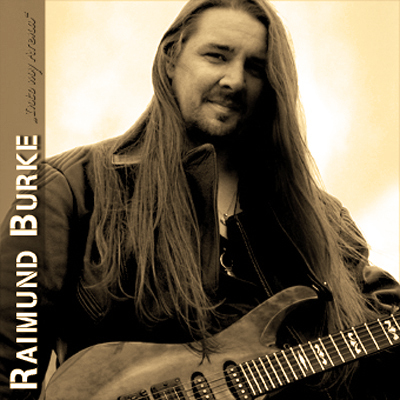 If you want to see more info about Raimund Burke please click here. And don't miss the official video clip for "In the Mood"! 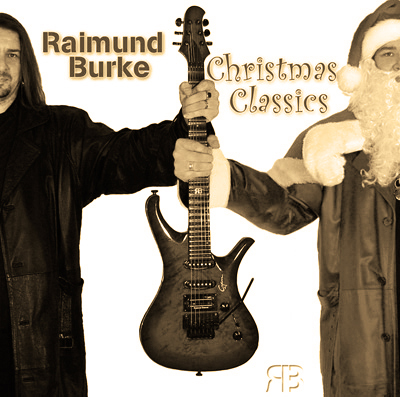 © 2016 Raimund Burke Orchestra All Rights Reserved.